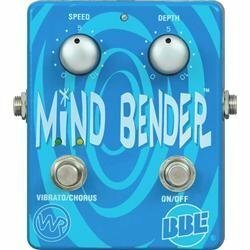 Continuing my alerts on the BBE pedals at Amazon, I came across the BBE Mind Bender Analog Dual Mode Vibrato and Chorus pedal. Again, this is an amazing deal at Amazon. Normally lists for $209.00, Musician’s Friend has it for $149.99 + Shipping, and Amazon has a awesome price of $77.50 with FREE Super Shipping. I found this decent video on YouTube describing the pedal’s features. Sweet Deal on a MXR Phase 90!